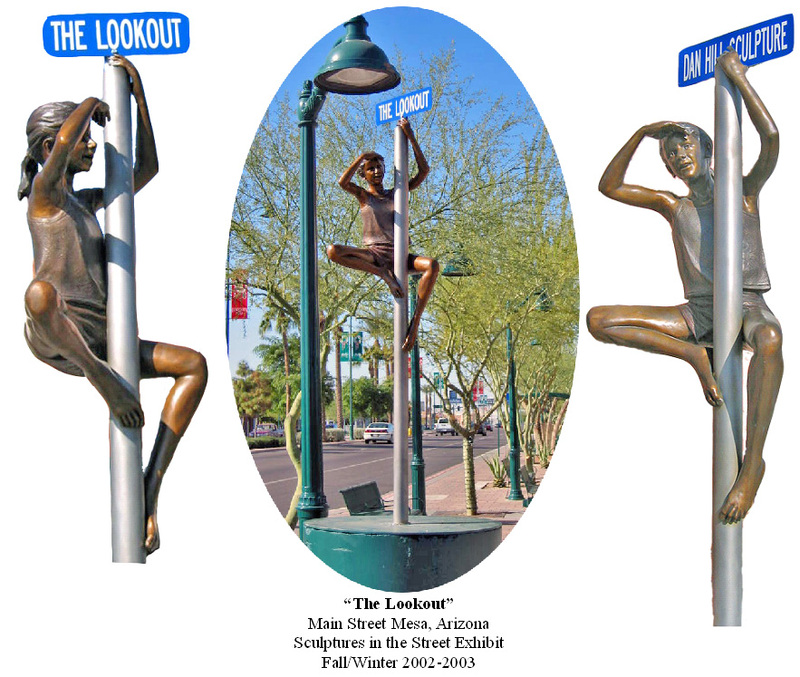 “The Lookout” was inspired by a pair of neighborhood twin girls with a knack for climbing. The sculpture can be installed on a flag pole, street sign pole, light pole, or other upright pole structures. "The Lookout" is permanently installed at the Sandy City Amphitheater, Sandy, Utah.